Paper quilling is a favorite crafting pastime but is by no means new. This paper art has existed since the invention of paper. Paper quilling is the art of cutting paper into long thin strips, rolling and pinching the pieces into different shapes, and then gluing the shapes together to form decorative art. Paper quilling projects can be used to decorate cards, boxes, gift bags, picture frames, or even be made into 3D stand-alone art pieces. Your imagination only limits the possibilities. The decorative pieces can be simple or complex, but one thing is for sure, paper quilling can be mastered in an hour or two. Quilling is the perfect craft project for beginners. It is easy for a novice paper crafter to get good results, and another plus is the fact that this craft costs almost next to nothing to make. The origins of this artwork are not known. Some people believe that quilling was started in China after the invention of paper, and others think the craft had its origins in the 13th century. Nuns would imitate the iron decoration that was used as metal ornamentation in home decor. They would roll strips of gilded paper cut from books. The paper filigree designs were then used to decorate books and religious objects. Paper quilling then resurged in popularity in the 18th century as a "suitable" pastime for the women of the aristocracy. The art of quilling spread from Europe to America and was favored by the American colonists as a decorative method. Quilling has had a resurgence in popularity, and it has been raised to an art form today. Beginning quilling can be accomplished using only strips of paper, a toothpick, knitting needle or similar object, and some glue. If you get bitten by the quilling bug, you can invest in proper quilling tools to make your job that much easier. Paper Quilling Strips: Precut paper designed especially for quilling can be bought online or at your local craft store. The advantage of using pre-cut paper is that your paper strips will always be the same width and of course you will also save time when using this type of paper. Slotted Tool: This tool is a handle with a comfort grip that has a slotted metal piece at the top to insert your paper strips and then twists them into circular shapes. This tool makes it easier to control and roll your paper strips. Tweezers: Tweezers are handy for holding your quilled shapes together while you are applying glue. Needle Tool: The needle tool is a handle with a comfort grip that has a needle on one end. This tool is useful for applying glue to the ends of your paper strips. Circle Sized Ruler: This handy tool is a ruler that has various sized holes in the middle. Place your rolled paper coil into a hole and get an accurate measurement. Curling Coach: This tool is similar to the sized circle ruler. It makes the job of curling paper easy. It is especially useful when used in conjunction with the slotted tool. Crimper Tool: This tool adds some crimped texture to your paper strips. Crimping adds interest to your quilling design. White Glue: Most quillers use ordinary PVA glue. Are you looking for some inspirations to help you kick-start your projects? Make sure to view some of the works of these artists. Yulia Brodskaya: Yulia is a Russian born paper artist that fell in love with quilling in 2006 and hasn't stopped since. She started out as an illustrator and graphic artist but changed to paper art after her first paper project. She needed to design an original display for her name on a brochure and used quilling. The rest is history. Yulia's art is beautiful, quirky and utterly delightful! Farah Al Fardh: Farah is an Emirati artist and trailblazer in the Arabic world when it comes to paper art. She became the first Emirati and Arab to be awarded the ‘Certificate of Accreditation from The Quilling Guild in the UK and continued to wow the world with her creative pieces. 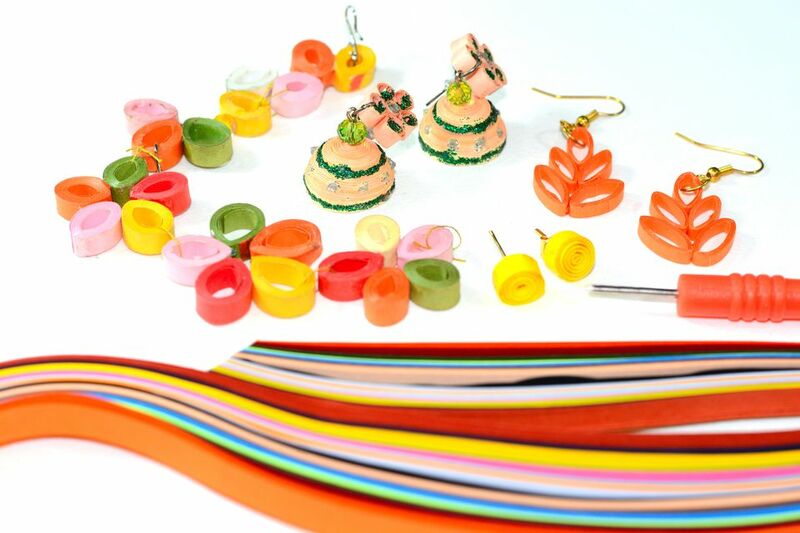 She especially likes to make whimsical 3-d quilling sculptures. Be sure to visit her YouTube channel. Ann Martin: Ann Martin is an author and paper art enthusiast that specializes in "custom quilled marriage certificates, ketubot, and wedding invitation mats that are suitable for framing, as well as paper jewelry." She has a website that focuses on quilling and other types of paper arts. I particularly like the site because Ann features high-quality paper arts and artists, and is an excellent source of information if you want to keep up with current trends in the world of paper crafting. If you want to learn more about the art of paper quilling, an excellent place to start is by joining a quilling guild. The premier guild is the Quilling Guild of the UK. Although the guild hosts events that are in Great Britain, you can still become an online member and receive their publications (digital version) even if you live elsewhere in the world. You can always find or start a club with like-minded people who enjoy the craft if you want to meet locally. It is a chance to share interests, improve your crafting skills and develop lifelong friendships.